In China: what is truth? In Cairns: Mandarin or Cantonese? 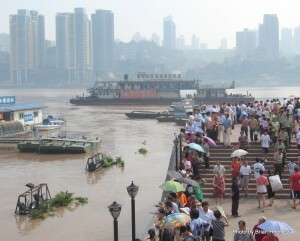 The mighty Yangtze River is in flood. 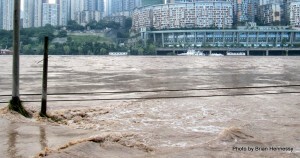 The worst rains in over 10 years have sent torrents of water rushing down a 6300 kilometre journey from the Qinghai-Tibet Plateau to Shanghai on the coast. 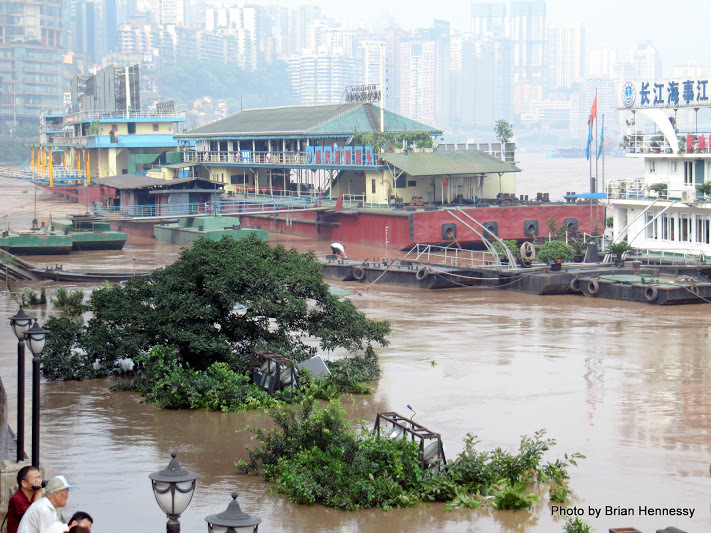 Throughout history, these seasonal floods have been something to fear in the Yangtze River Valley, the fertile floodplains downstream from the Three Gorges. Over the years, uncountable millions of humble farmers and their crops have been swept away by these terrible waters. 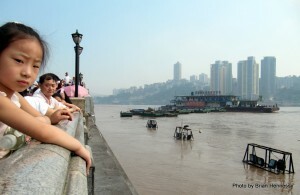 I live in Chongqing, a huge metropolis of 6.5 million people located 1600 kilometres inland from Shanghai. Right now, the Yangtze is roaring past this ancient mountain city with a vengeance. 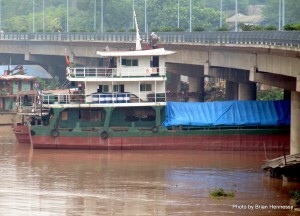 It has already drowned hundreds of people, flooded crops, caused landslides, and washed away roads and railway lines. 16,000 people have been evacuated. 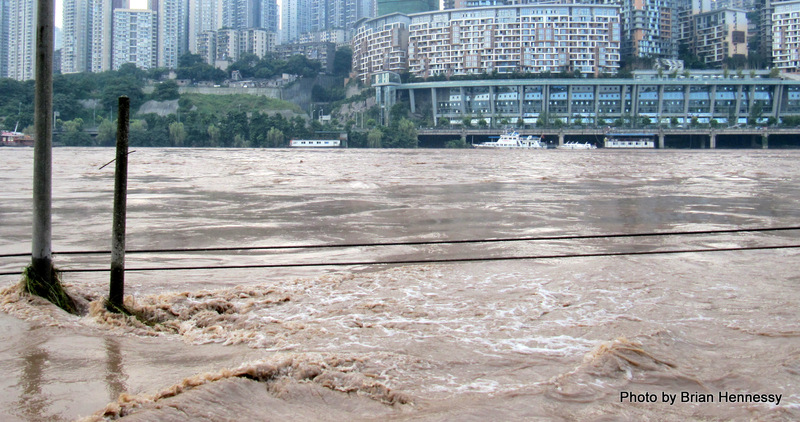 If this raging river were to continue through the Three Gorges unchecked by the recently completed Dam, God knows what perils would await the millions of people crowded together on the land or in humble villages and provincial towns in its path. The Dam is holding. Although it is the biggest engineering project in China since the construction of the Great Wall, it has been criticised for many reasons. Namely for the forced relocation of more than one million people, the inundation of cultural relics, the increase in landslides along the edges of the man-made lake upstream, and the seismic risk of having such a heavy load bearing down on the earth’s crust in earthquake-prone territory. The most vocal critics being those engineers and politicians who have changed their minds about dam construction after observing the unintended consequences of so much man-made interference with nature. To be fair however, we must give credit where it is due and acknowledge the benefits flowing from this dam’s construction. Firstly, the lives of millions of people downstream are now safer as a result of the taming of the world’s third longest river. Secondly, the hydro-electric power that is being generated is underpinning the rapid growth now occurring in the hitherto poorer hinterland of China. 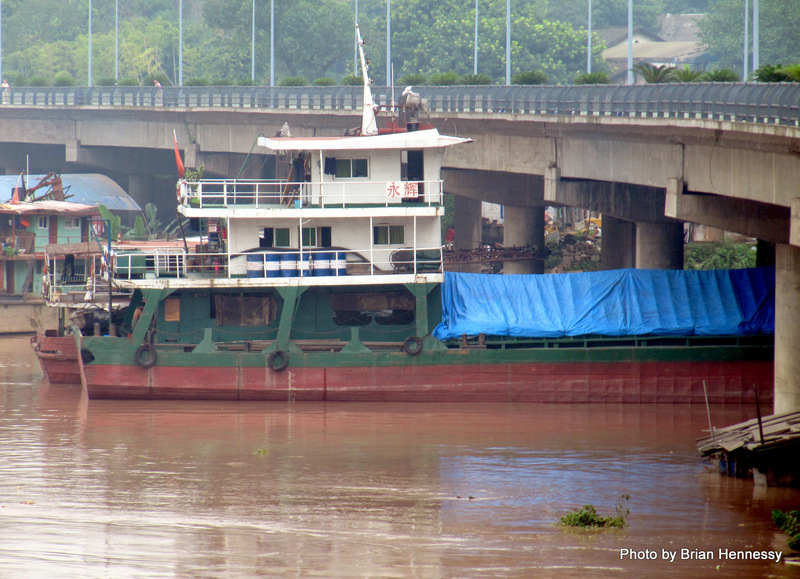 And thirdly, ocean-going ships can now steam upriver to places like Chongqing, bringing increased trade and commerce in their wake. A lot of people have had their quality of life improved by the Three Gorges Dam. The dam is doing its main job – that of regulating the flow of water downstream. As a result, millions of ordinary Chinese citizens who are not privy to the professional arguments against its construction are sleeping safely in their beds tonight.